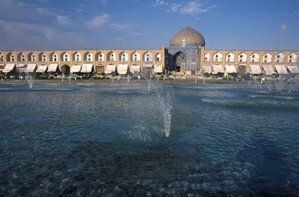 Meidan Emam ( Esfahan) is the aera that was built by Shah Abbas I the Great at the beginning of the 17th century. 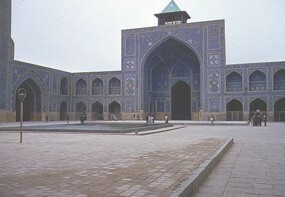 It contains a wide range of Islamic Architectural styles ranging from the 11th century to the 19th century, including the Royal Mosque, the Mosque of Sheyx Lotfollah, the magnificient Portico of Qeyssariyeh, and the 15th century Timurid Palace. They are an impressive testimony to the level of social and cultural life in Persia during the Safavid era .